Our experienced and skilled staff of landscape designers and landscape contractors can create a landscape and meets the needs of your property. 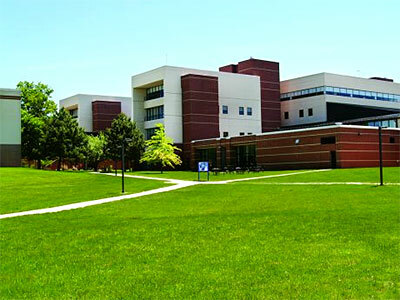 Preferred Landscape has been providing a wide range of landscaping design and build services for many years throughout the Louisville Kentucky region with great success. As a result of hard work and great results we have acquired a long list of very happy clients and a strong reputation within the landscaping industry. We maintain our success by having a team of very experienced, highly trained and professional landscape designers, architects and contractors. The team at Preferred Landscape will guide you through every step of your landscape project from design to build and also provide you with all the necessary maintenance information you need. No job is too small or too large for us and we will sit down with you and work out a budget that suits you. Preferred Landscape provides innovative landscaping design services. 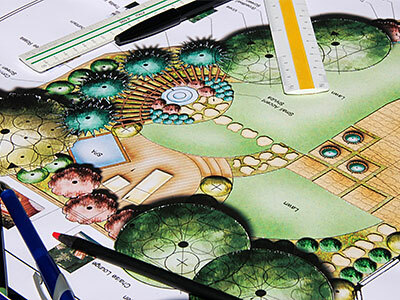 We sit down with our clients and incorporate your ideas into a landscape plan and turn them into a reality. We use the latest software and technology when designing your landscapes and hardscapes which enables our clients the ability to see what the end result will look like. Our designers can make suggestions on various design elements which may give you a whole new outlook on the design of your landscapes. Let our team share their experience and knowledge with you. We can also advise you on the best type of materials to use for your particular type of project, taking into consideration the location and climate so that you have an easy to maintain landscape. Landscape design is all about making the best out of the space you have and ensuring it all works together. It is also important to consider the rest of the structures and features on your property and how your new landscape feature will blend in. Preferred Landscape will help you enhance the overall visual appeal of your home or business. Spending some time and money on your landscapes will not only increase the aesthetics of your property but it will also increase the value too. All you need to is sit back and let us take all the stress and hassle out of the design and build process and leave it to the professionals! Preferred Landscape has a team of experienced landscape builders and contractors ready to transform your property and increase the curb appeal of your home or business. At Preferred Landscape we pride ourselves on providing the highest quality building services by ensuring our contractors have the best craftsmanship in the industry. We also believe that by using only the best quality landscaping and hardscaping materials on the market; the end result will not look better but will also last longer. It really is all about durability and visual appeal. Our landscape contractors use only the latest equipment and techniques to get the job done right, efficiently and on time. We are a full service landscaping that offers our clients friendly, knowledgeable and professional landscape design and build services. If you want your property to be the stand out in your neighborhood then contact us today for a free consultation!